Many people will say that they aren’t interested in the Tony awards because they aren’t up-to-date on Broadway shows. I consider this to be a bug, not a feature. Unlike awards for television, movies, and music, these categories haven’t been re-hashed to the point where I’m bored with them. I learn about great shows that are out there simply by watching the Tonys. The show isn’t entirely perfect. The plays get short shrift over the musicals because putting a musical number up on stage is easy. They tried putting up scenes from the shows nominated for best play throughout the ceremony a couple of years ago and it kind of fell flat. Still, that’s one tiny problem in an otherwise great show. 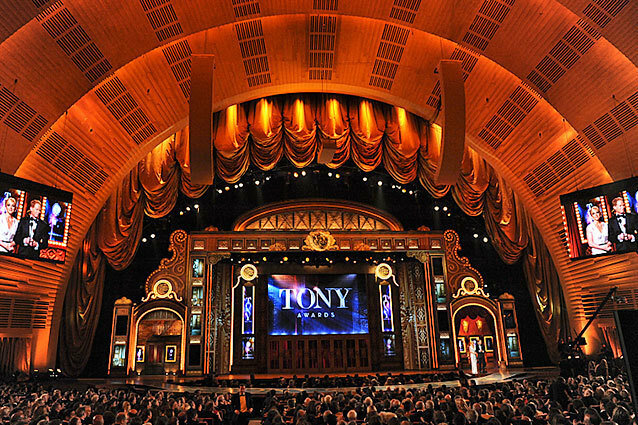 The Tonys air Sunday, June 8, at 8/7c on CBS. Agreed. I’ve never made an effort to follow the Tony’s for the reason you said, but I think I will now. All but one of the shows they referenced in that clip I at least knew about, and had seen three of them. Unfortunately, this year’s show wasn’t as good as last year’s. It turns out that Hugh Jackman is no NPH. NPH’s performance as Hedwig was great, though.